Made of hardened steel for toughness. .225 top plate. Features two large diameter ball bearing raceways. 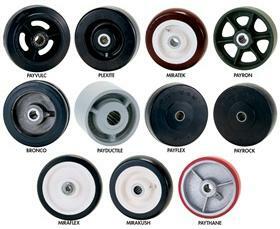 Swivel caster includes lube fittings. 5/8" Kingpin. Zinc plated. Top plate measures 3-3/4 x 4-5/8". Bolt Hole 2-5/8 x 3-5/8", slotted to 3 x 3". FOB Shipping Point. MIRATEK - Polyurethane, 95 duro. red. 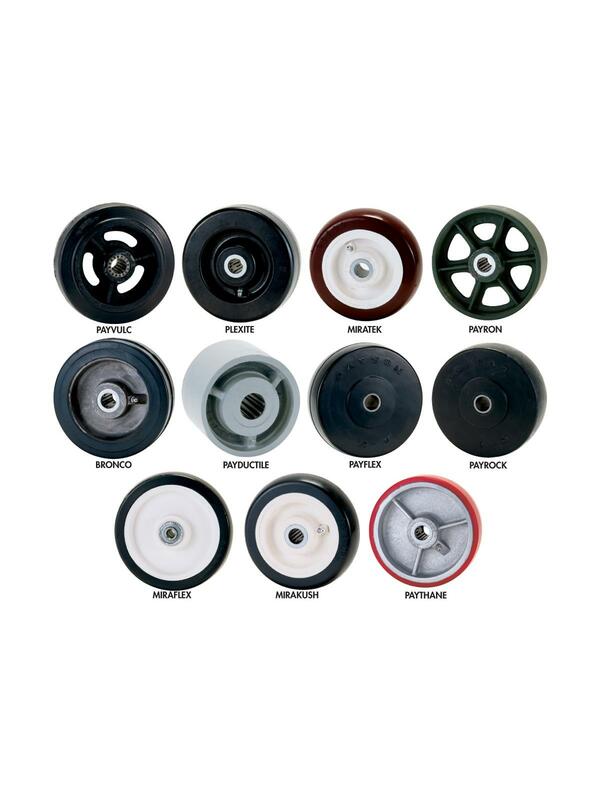 PAYROCK - Hard rubber, fibrous compound. MIRAKUSH - Polyurethane, 85 duro. gray.